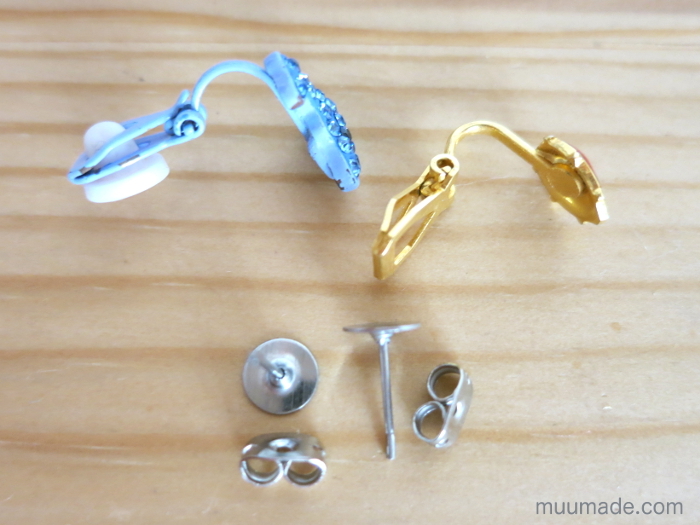 Converting clip earrings into stud earrings requires only a few easy steps! 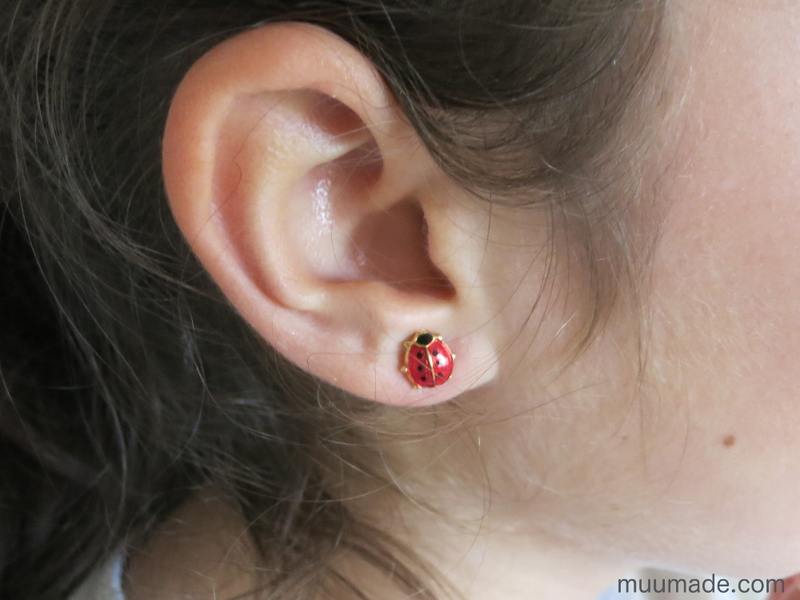 My daughter had some clip earrings, which she liked very much but could not wear after she had her ears pierced. So we decided to transform them into stud earrings. 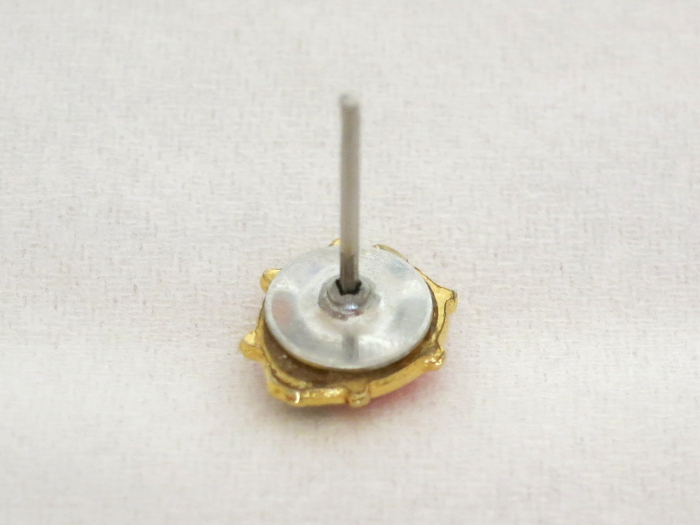 The main thing which you will need is a few earring posts (studs) with flat pads (along with backings or ear nuts to match them). 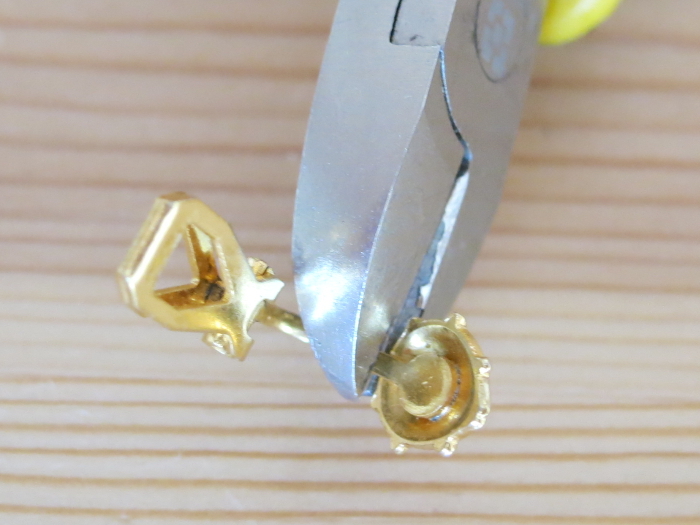 First, using a pair of cutting pliers, remove the clip backings from the clip earrings. Using a file, smooth the back of the earrings as much as possible. Take particular notice of any sharp places that might be left after cutting off the clips. 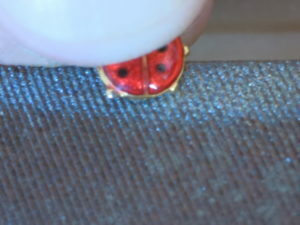 If you don’t have a flat area on the earrings’ backs where you can glue on the studs, make one by filling them in with Mod Podge or something similar. 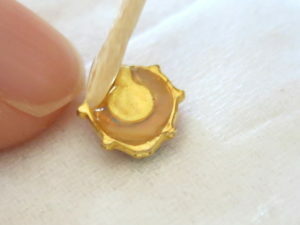 When the Mod Podge is completely dry, use Super Glue to attach the flat pads of the earring studs onto the back of the earrings. 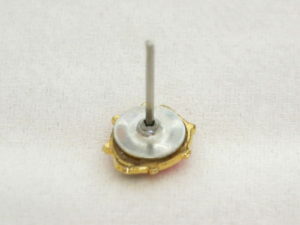 When dry, attach a backing or ear nut onto the studs. 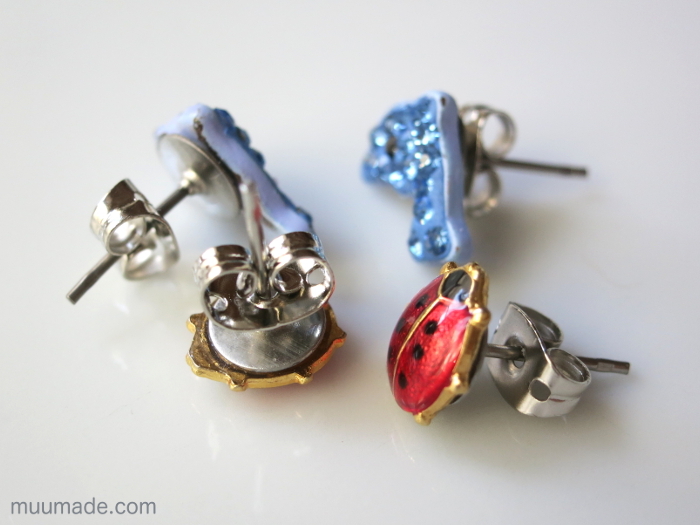 Now you can wear your old clip-on favorites again, but now as newly transformed studs!